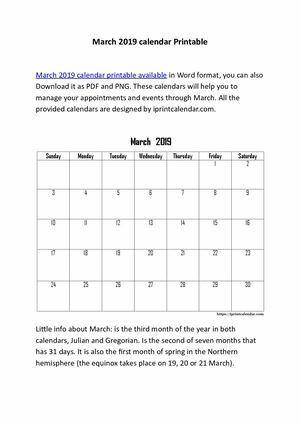 Clean and high-quality March 2019 calendar printable. It can be used on Microsoft Word and PDF. You can also download it as Image.